The secret of high performance internal combustion engines are the fuel catalysts and timing of the firing of the spark inside the engine. 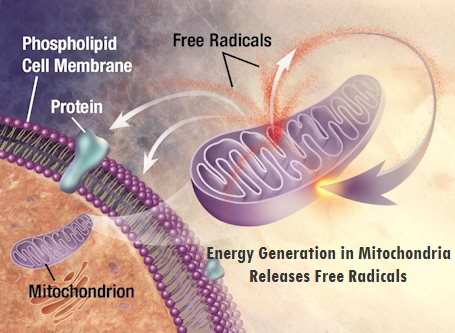 Similarly, the secret of high performance in mitochondrial engines comes down to having a few important chemicals present so that the oxidative/reduction chemical reactions are precisely timed or enabled to happen with the least production of free radicals and greatest energy creation possible. The acetylated L-Carnitine molecule is produced in the the brain, liver and kidneys by an enzyme, carnitine acetyltransferase, which declines with age (hence it is important to supplement with this molecule as we grow older). It stimulates cell membrane repair and protein and phospholid production, including the repair of nerve and brain tissue damage. By itself, this ability would make it one of the most important molecules in the body. But, it’s single greatest role is to facilitate (catalyze or increase the rate of ) the conversion of fat (lipids) to energy within the mitochondria. When levels of Acetyl-L-Carnitine are low, energy production is less efficient and more destructive to the mitochondria engines of our cells, and thus we progress towards death at a faster rate. 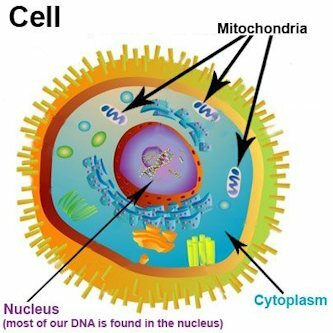 Conversely, when levels are higher, energy creation is more efficient and less mitochondrial damage occurs. Our bodies can make acetyl-l-carnitine from L-Carnitine which is found primarily in meat and fish. Lesser amounts are present in milk, avocado, grains and vegetables. Supplementing with Acetyl-L-Carnitine is a very efficient way to increase actyl-l-carnitine in the body and thereby improve energy creation in your mitochondria and protect them from the consequences of inefficient energy production, as well as promote the repair of cell membranes, nerves and brain tissue. This fatty acid Alpha Lipoic Acid is a vital “co-factor” for enzymatic reactions within the mitochondria, helping to optimize energy conversion of glucose into energy. Additionally, it functions as an antioxidant throughout the body. It also helps in the transportation of sugar into the cell, increasing the effectiveness of insulin. It is especially important in the brain which is a large user of glucose. It also revitalizes (reduces) oxided glutathione and Vitamin C.
Alpha Lipoic Acid can be obtained from numerous foods, including organ meats (especially kidney, heart and liver). It is also found in the chloroplasts of plants. Best sources are: brewer’s yeast, broccoli, spinach, collard greens and chard. However, food sources are bound and difficult to assimilate in comparison to supplements, which are not bound and easily assimilated.